Get all the space you need for large family meals and dinner parties with this stainless-steel, Bosch built-under double fan oven which has a total 91 litre capacity. 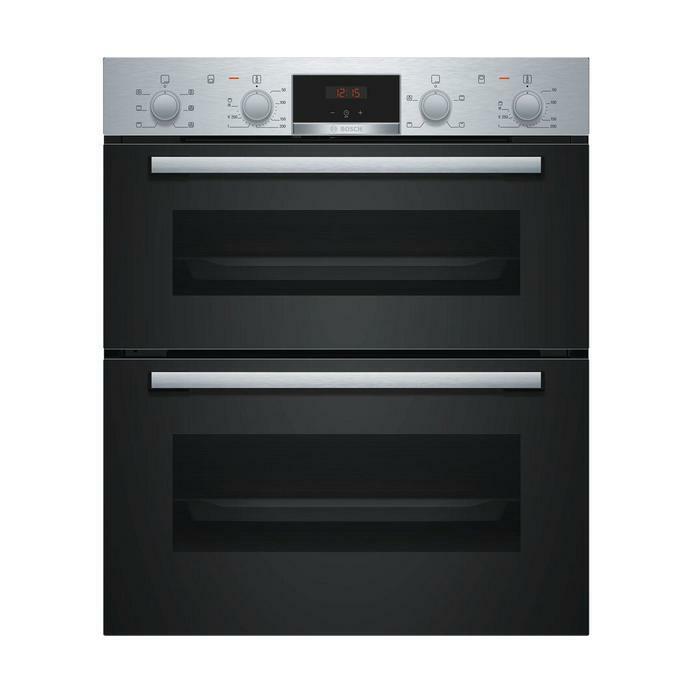 This stainless-steel, built-under double fan oven from Bosch is fitted neatly under a worktop. It offers versatile cooking with a variable grill, a defrost setting and a 3D hot air function that circulates the air through the fan for a more even bake. Catalytic liners absorb grease to be burned off regularly, making cleaning a breeze.